La Scena Musicale is celebrating the Art Song in 2015-16 with the launch of an worldwide survey, What is your favourite art song? Submit your vote at www.nextgreatartsong.com. Here is our first submission, a thoughtful response from Prof. Leslie De'Ath. "With so vast a genre, and so many masterful songs to choose from, deciding on a top ten, let alone “the greatest” is a largely arbitrary process. Here are my choices right now, proffered with the same reservations I have about any competitiveness within music. A competition reveals its essence not by what it chooses, but by what it is obliged to exclude. Ask me tomorrow, and the different result will reflect changes in me, not in the songs. I find that the greatest songs–whatever that may mean–are ones in which the aesthetic ideals of the poet and of the composer appear to have meshed seamlessly and inevitably. This happens remarkably seldom. Mörike/Wolf, Hardy/Finzi, Verlaine/Debussy, Müller/Schubert, Cummings/Nordoff, and Des Knaben Wunderhorn/Mahler come immediately to mind. I find choosing the greatest song cycle a far easier task - Winterreise stands head and shoulders above all others for me, and for many others. (A close second might be Hermit Songs of Samuel Barber, the finest of American song cycles.) Choosing one song out of Winterreise is much more difficult. Der Leiermann sends chills down my spine every time. I ended up with Der Wegweiser partly because it is a landmark song within the cycle. After a number of songs of disorientation and psychological instability (Irrlicht, Der greise Kopf, Die Krähe, Im Dorfe andTäuschung), Der Wegweiser is a final, devastating jolt of lucidity. The hapless protagonist only now fully comprehends that there is no going back. He has finally reached the Pale, and we are but a stone’s throw from Der Leiermann. In Der Wegweiser, the journey comes to a virtual end. Melody and harmony have become incarcerated, and circle back upon themselves helplessly like a caged tiger in a zoo. The repeated notes, torture-like, directly portend the demented, heart-wrenching monotony of the final song. The astonishing chromaticisms, done with masterful economy of means, delineate the poet’s icy anguish. Never in the history of music has a composer been so technically and aesthetically assured as in this cycle, and in this song." A recent arrival, the sixteen-piece Orchestre national de jazz — Montréal made its debut in July 2013 at the city’s summer jazz festival. 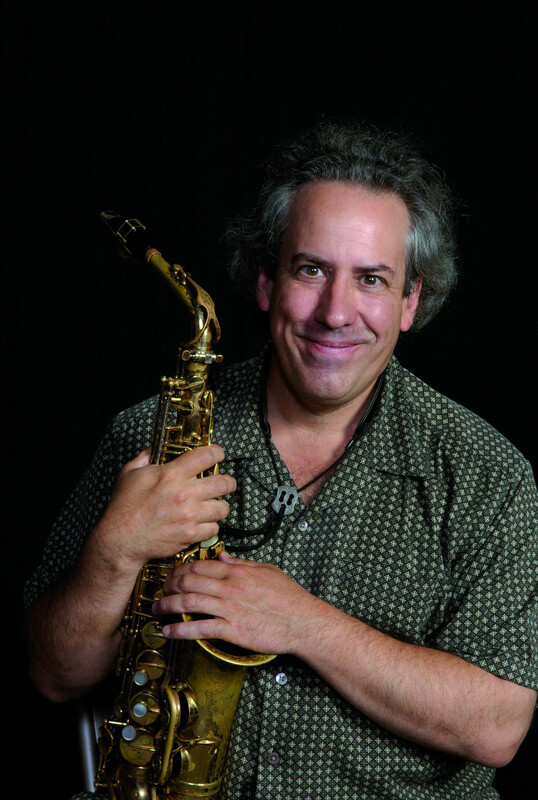 Since then, it has completed two seasons of performances, 14 in total, including last year with special guest trumpeter Terrence Blanchard and his quintet. While all cities, both big and small, have big bands, this one is a bit different. Some play stock arrangements and limit their activities to rehearsals when others are vehicles performing original music by a composer, most often of its leader, but the ONJ – Mtl embraces both, repertoire and original material alike.The Orchestre National de Jazz - Montréal performs July 1 at the Festival international de Jazz de Montréal, 9 PM and 11 PM. Since the 1980s, this native Canadian pianist has established herself comfortably on the American jazz scene. An early record deal with Blue Note was a boon to her career, which lead her to several plum jobs backing stars like Freddie Hubbard, Joe Henderson and Wayne Shorter. In 2004, she began a tenure with the high profile San Francisco Jazz Collective while tending to her own projects, like the piano duo she shares with her current partner Bill Charlap. Her return home this month will be an auspicious one, as she hits five Canadian festivals fronting a quartet including vibraphonist Steve Nelson. In Montreal, she appears twice, with bassist Avishai Cohen on June 27 and guesting in the trio of legendary bassist Ron Carter on July 4. The main architects of this pianistic adventure, which got its start two years ago, are Mat Herskowitz and John Roney. Oliver Jones invites them along with their colleague Julie Lamontagne for the FIJM’s closing show on Sunday, July 5. Two by two with their host, they will perform a cross-section of evergreens from the classical and jazz repertoires. Quite a … pianorama! Formerly FIMA and now Mtl en Arts, this festival brings together over 120 visual artists on the pedestrian mall of Ste-Catherine East between St-Hubert and Papineau streets, including Monique Saintonge, Winston McQuade, and Michel Trembay. Every day beginning at noon, the public is invited to browse the various exhibits, interact with the artists, and purchase artwork (credit card purchases possible). “My First Art Gallery” is exclusively for kids under 13. De nos jours, on ne les appelle plus « big bands », mais bien «orchestres de jazz». Ils ne se produisent pas dans les clubs ou salles de danses, mais en concert. L’Orchestre national de Jazz–Montréal, un nouvel arrivé dans cette arène musicale, tient la route depuis deux ans. Jacques Laurin, âme dirigeante et fondateur de l’entreprise, s’est donné pour mission de créer un ensemble capable de présenter des saisons de concerts. «Comme les ensembles classiques, compagnies de danse et troupes de théâtre peuvent le faire, pourquoi pas en avoir au moins un pour le jazz?», raisonne-t-il. En concert le 1er juillet–Scène General Motors, 21 h et 23 h (FIJM). 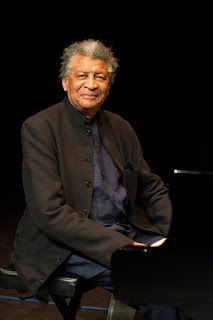 De retour à Montréal après des lustres, le pianiste sud-africain Abdullah Ibrahim bouclera la série Invitation du FIJM. Après une prestation en solo (le 2 juillet), il se produira en trio le lendemain et le soir suivant à la tête de son septette Ekaya. À 80 ans, ce musicien, découvert par Duke Ellington dans les années 1960, avait été l’un des chantres de la résistance antiapartheid. Contraint à l’exil pendant des décennies, il a contribué à la découverte du riche patrimoine musical de son pays. Sa musique, autrefois fortement politisée, est plus sereine et assagie depuis son retour au bercail, maintenant libéré de son régime honni. Canadienne d’origine, la pianiste Renee Rosnes s’est installée dans La Mecque du jazz dans les années 1980. Décrochant un contrat de disque chez Blue Note, cette musicienne a été très sollicitée comme accompagnatrice, jouant aux côtés de Joe Henderson, Freddie Hubbard et Wayne Shorter. En 2004, elle se joint au San Francisco Jazz Collective, formation de renom entendue à Montréal en 2009. Cet été, elle sera de retour, cette fois-ci au FIJM et à deux occasions, soit le 27 juin en duo avec Avishai Cohen (b.) et le 4 juillet en invitée spéciale du trio de Ron Carter. Ailleurs au pays, elle visitera cinq autres festivals dans un quartette incluant le vibraphoniste Steve Nelson. Les principaux artisans de cette aventure pianistique amorcée il y a deux ans sont Mat Herskowitz et John Roney. Oliver Jones les invite ainsi que leur collègue Julie Lamontagne pour clôturer le FIJM le dimanche 5 juillet. Avec leur hôte, ils se livreront deux par deux à relire des morceaux du répertoire classique, les ouvrant à des excursions improvisées inattendues. Tout un... pianorama (sic) !